Sunday was a very moving day. I visited Alnwick in the morning. Before the service we prayed as a team and there was a genuine sense of anticipation. 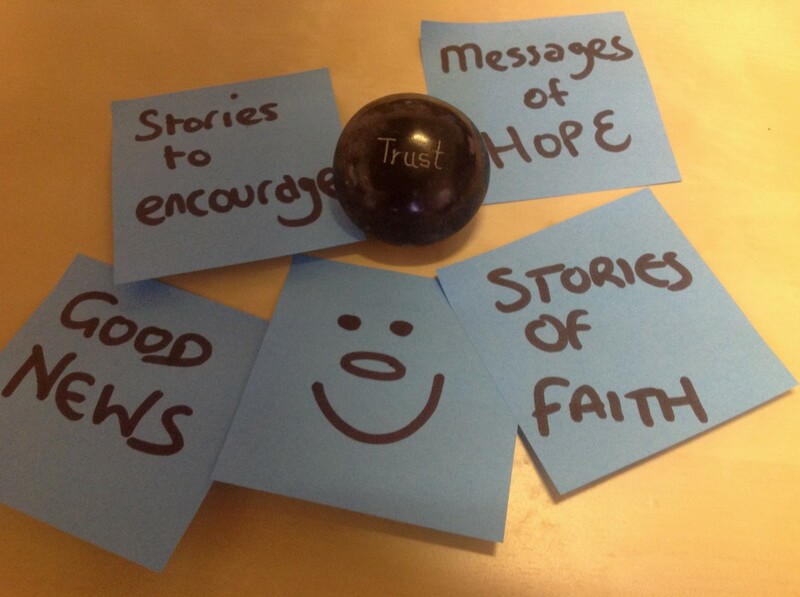 At the beginning of the service a steward got up to give the notices….then she very movingly shared with us how the church had been praying and how they were believing God was going to do great things this week. It’s not often church notices make people cry! The Methodist Minister there, Pauline, a wonderful woman, then told us that the church nearly closed a few years back but they decided to keep going. Since then the congregation has doubled and there’s new life. The only thing that worried me was if anyone else turned up for the service as I think there was only one seat left in the room! 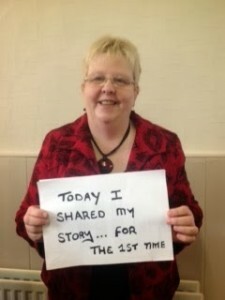 The team did a marvelous job….but a highlight for me was listening to Linda (from Rowlands Gill) share her story. She was just so natural and her words made us all laugh and cry. Well done Linda! And what an encouragement to others to try something new. I was sad to leave Alnwick but very much looking forward to popping back later in the week. In the afternoon it seemed there was a constant stream of messages, emails, texts, tweets & calls from TOGETHER folk telling me how things were going so far. In the evening I visited Birtley. Again a really good service was delivered and the good folk at Birtley were warm, appreciative and seemed ready to be involved in the weeks activities. They are hosting a messy church, lots of coffee mornings, a community lunch, a Light party, and at nearby church Pelton they are setting up a Labyrinth and inviting the community to come & experience prayer. This picture is Mari, and as a member of the team she also tried something new. Well done Mari! 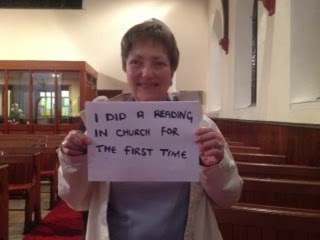 The service was led by Carol who is in training as a Local Preacher. My goodness she preached well. She reminded us all that God has given us gifts and we should use them for His glory. It was hard to believe that she’s a new preacher. 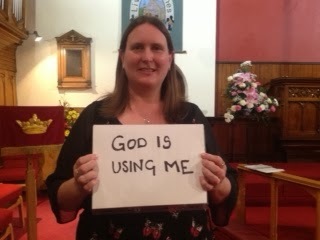 She wasn’t sure what to write so I encouraged her to say ‘God is using me’ as without doubt that is what happened last night. On a personal note, I couldn’t help but reminisce about a Share Jesus mission team who visited Birtley in 1988. I was there and on the last night my dad came to faith and had his life transformed by God. It was that same night that the team leader (Paul Smith) encouraged me to go to Cliff College….how life has changed since then. The last HIGHLIGHT of the day comes in the form of a message I received when I got home. A young woman had come along to one of the other host churches and told how she used to believe but had drifted from God. The team leader prayed with her and she’s no longer drifting!!! Praise God.